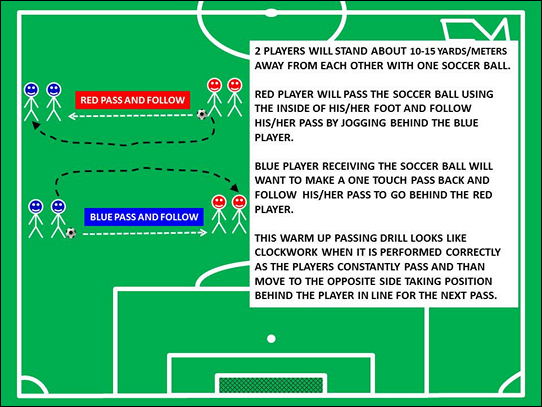 Soccer warm up with ball is best intended for younger players, to add more touches, and better familiarize them with the soccer ball. 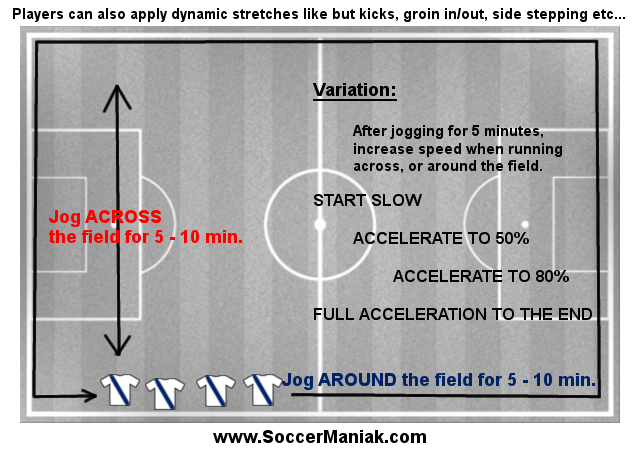 This soccer warm up drill will allow players to have fun while warming up for a practice or game session. 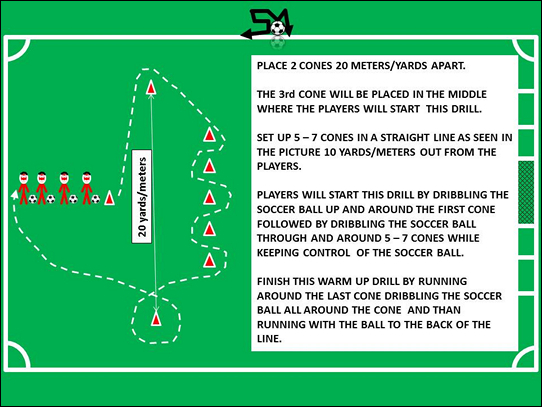 Players will enjoy this warm up drill because they will be playing around with the soccer ball, using different touches to manipulate ball movement, before a game or soccer training session. 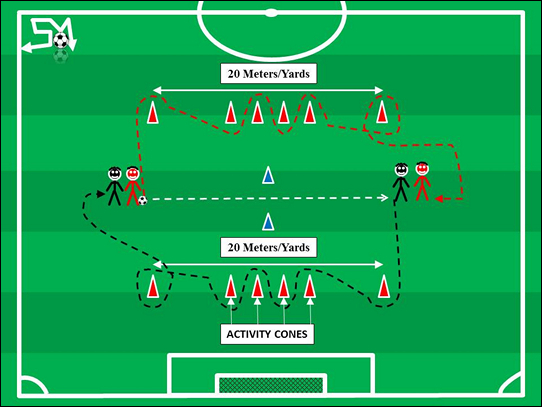 This warm up soccer drill will not only help players warm up before practice or game, but it will also build the players technical ability with the soccer ball over time. Every player should have a soccer ball. 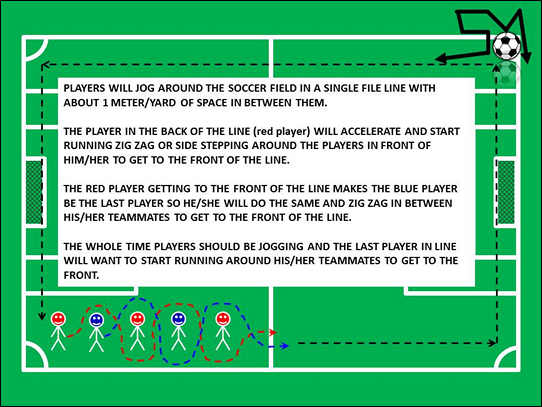 At the Coaches whistle, or signal, players will dribble the soccer ball across the field, and back. Players will dribble the ball for 5 - 10 minutes. Encourage players to use both feet, and the sole of their feet. Encourage players to use the inside, and the outside of the foot to control the soccer ball. Players should use short touches, keeping the ball very close. Every step should be a touch. 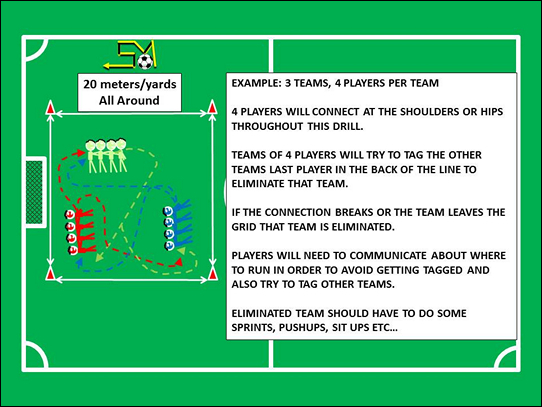 Encourage players to have fun, and try to get as many touches on the ball as possible.